﻿The Oxford Historical Society is an organization of dedicated volunteers who are committed to preserving and promoting the heritage of Oxford and surrounding rural communities. The Oxford Historical Society is a Nova Scotia registered not-for-profit organization devoted exclusively to this cause. When you become a member of Oxford Historical Society or make a donation, you will be helping to support the activities and programs of the organization for present and future generations. 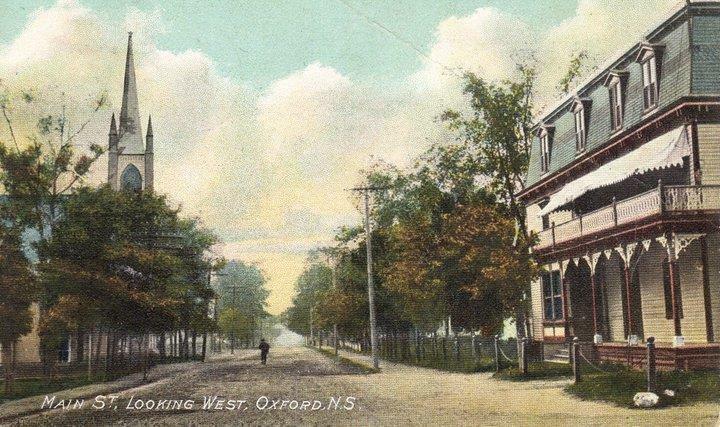 The Oxford Historical Society works to preserve and promote the heritage of Oxford and to tell the story of it's cultural, social and economic development. Learn about Oxford's local history and heritage and meet people who share similar interests through our community programs, festivals, special events and workshops. We welcome you to explore our website and to join us soon at our next Oxford Historical Society event. run entirely by dedicated volunteers.